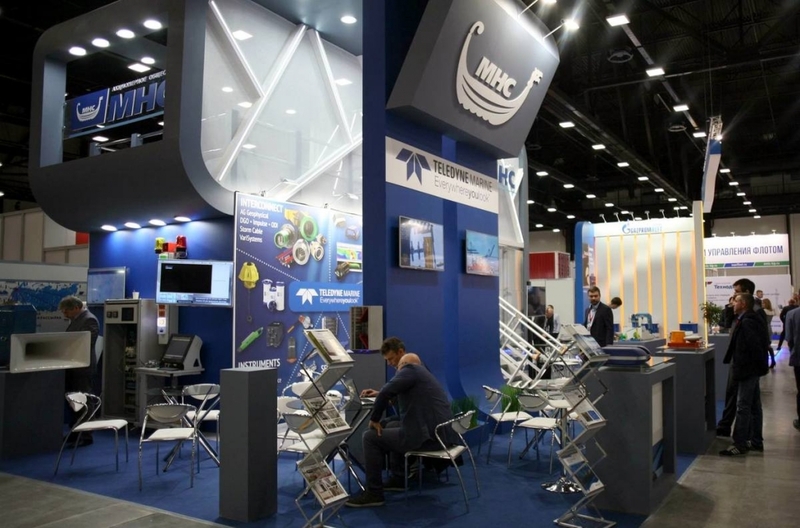 The 14th International Maritime Exhibition and Conferences of Russia NEVA-2017 took place in St. Petersburg from September 19 to September 22, 2017. NEVA exhibition is the biggest event of its class in the territory of Eastern Europe and post-soviet region. Therefore, it’s a significant event for all the shipbuilding companies. This year, more than 500 companies from 35 countries took part in NEVA exhibition. MNS Ltd. has also made great contribution by presenting our own stand with recent technical achievements and new products of our company along with the products developed and manufactured by our foreign partners. SMD Ltd. Company (England) presented innovative equipment for subsea application (ROVs, trenchers, ploughs), Teledyne RESON (Denmark) showcased its internationally acclaimed multibeam hydroacoustic equipment, DECK Engineering Company (Estonia) introduced solutions for oil-field and load-lifting operations. Such products as marine fire-rated roller shutter doors (PAROSHA Innovators Company, Netherlands) and shipboard system for fuel saving (TestLab Finland Company) attracted special interest from potential customers. 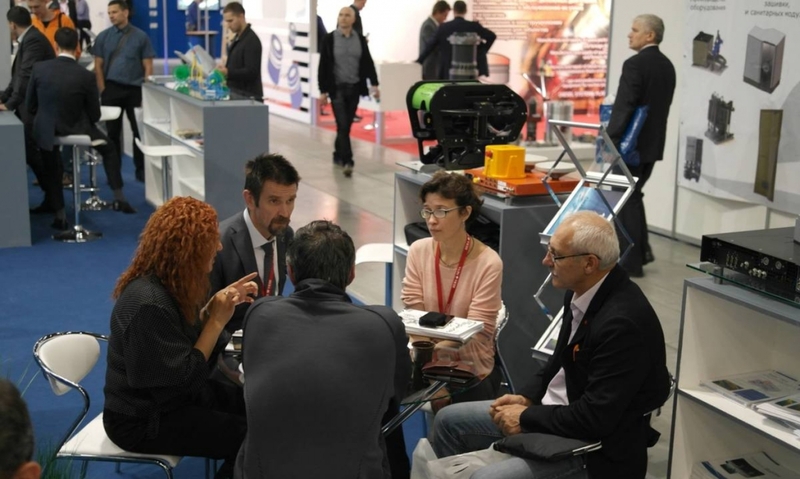 The stand was attended by representatives and technical specialists for the whole time of the exhibition, therefore, visitors got a chance to get acquainted with the products and receive technical advice. The exposition presented by MNS Ltd. and partner companies received great feedback from potential customers. For the whole four days the management of our company as well as the specialists of the companies represented at the stand had been holding negotiations, discussing working issues, outlining the ways for further cooperation and determining priority directions for development. 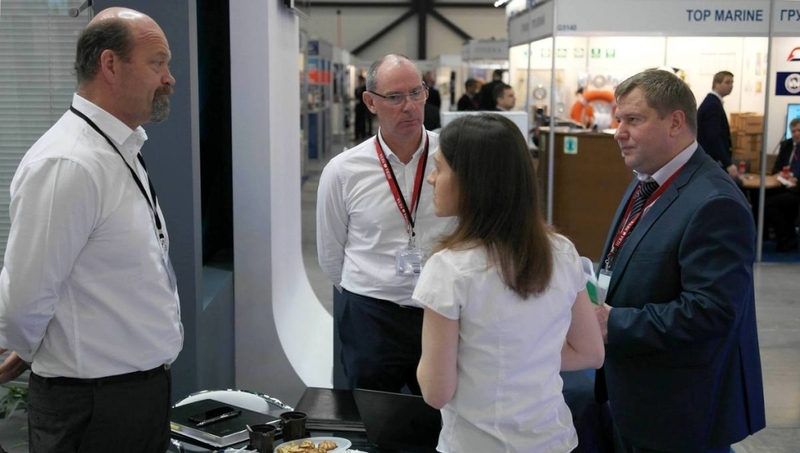 This year out stand was visited by Murmansk Steamship Company, Arctickabel Ltd., Department of Navigation and Oceanography of the Ministry of Defence of the Russian Federation, as well as numerous representatives of shipyards and design bureaus. 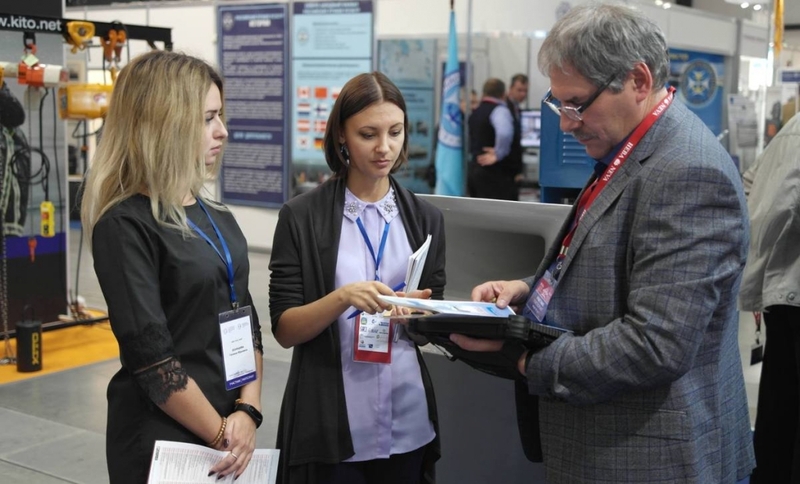 One of the significant results of the exhibition was the decision to expand the functions of Teledyne RESON service center in Russia, in particular, for the service maintenance for the products of Applanix Company.